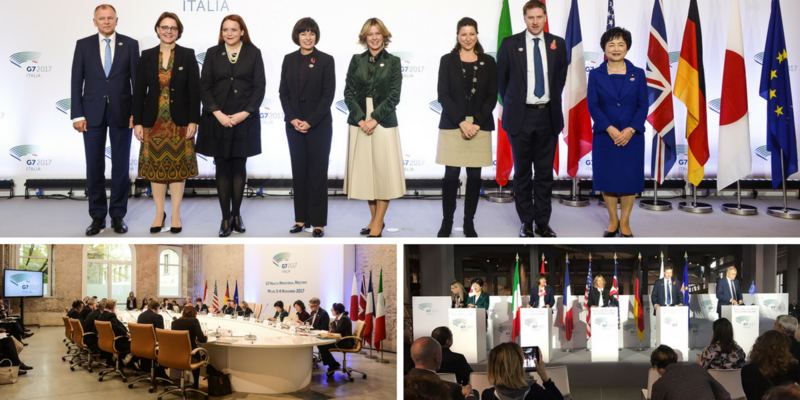 The G7 Ministerial Meeting on Health was held in Milan on November 5 and 6. "We have reaffirmed the commitment to keep the G7 countries together and to have a single strong message on issues such as climate change, health of migrants, women and children, and on research to tackle the antibiotics resistance", Minister Beatrice Lorenzin stated during the press conference. The meeting ended with a Final Communiqué that includes the several topics discussed during the two-day event. For several days Milan has been the world capital of Health. Four important side events have been held along with the Ministers’ meeting: the Gates Foundation event on Global Nutrition, the meeting of the Irccs Foundation - C. Besta neurological institute "Innovation and Research for Aging in Health", the conference "Strategies for Combating Pharmaceutical Crime" organized by Carabinieri/Nas and the conference on "New Technologies for Health Care" organized by Farmindustria, the Italian association of pharmaceutical companies.